Day 3 of the first-ever Women’s cricket day-night test match saw Australia’s Ellyse Perry put on a batting masterclass as she amassed 213 runs not out, which included her first international match hundred. 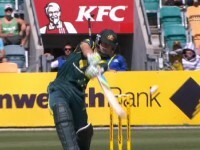 Fans around Australia and the world were able to watch this thanks to Cricket Australia’s Cricket Network live broadcast-quality streaming coverage of the match. The one-off test match at Sydney’s picturesque North Sydney Oval is part of the 2017 Women’s Ashes series that sees Australia and England compete in an Ashes series across all forms of cricket – one-day, test match and Twenty20 (T20). A points based system awards 2-points for the win for each limited overs match and 4 points for winning the test match. While the one-day and T20 matches were/are being broadcast by the Nine Network, it has been reported that commercial realities meant that Nine elected not to broadcast the Women’s Ashes Test Match. It is fair to say that if the Test Match did not have live quality video coverage it would have certainly put a dampener on the buzz and accessibility (for fans) of the series. To Cricket Australia’s (and sponsor’s Commonwealth Bank’s) credit it has stepped-up to deliver live streaming coverage well-above what we witnessed for the recent JLT One-Day Cup. ABC Radio is separately providing live audio coverage of all Women’s Ashes matches. The four-day Test Match is being live streamed in full HD, courtesy of broadcast quality equipment and a highly experienced production team. An all-female commentary team including former Australia stars Mel Jones and Lisa Sthalekar, and former England heroes Charlotte Edwards and Isa Guha, are providing the commentary. The live stream is available via the Cricket Live platform on phone, tablet, desktop and Apple TV (and BT Sport in the UK and Sony Liv in India). By the way, the Cricket Australia app on the Apple TV is a little gem. It has been a great way to consume live cricket on a big screen whether it be the JLT One-Day Cup or the Women’s Ashes. 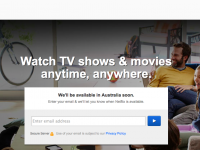 The coverage by Cricket Australia on its Cricket Live/Cricket Network platform has been fantastic, even to the point where BT Sport (Cricket Australia’s UK broadcast partner) decided during the test match to make the live stream not only available online but also through its BT Sport 3 broadcast channel (see tweet below). The only minor downside of the coverage is that there appears to be no stump microphones in action which means you lose that quintessential willow-on-leather sound. Over the last 12-24 months we have seen an explosion in the broadcast of professional women’s sport (outside of already established products like the WTA tour). For example, in Australia there has been increased coverage of women’s cricket, soccer and the launch of the AFLW. 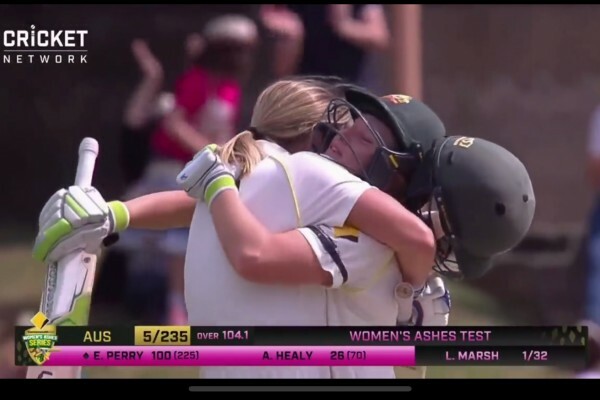 While there is clear growth, the failure of Cricket Australia to secure a domestic TV broadcaster to broadcast the Women’s Ashes Test Match does show that the commercial viability of some women’s sport as a mass market TV broadcast sport is still developing. That is why it is so important for governing bodies of sport in this digital age to take on the broadcasting themselves to help grow the game they are charged with looking after. While clearly a nine-camera, 4-day coverage of a match is not a cheap exercise for Cricket Australia, it is likely the exposure generated for the women’s game (and Cricket Australia’s digital platforms) will be huge, meaning the exercise will be a success and hopefully a model for CA and other sports bodies moving forward. Hats off to Cricket Australia.